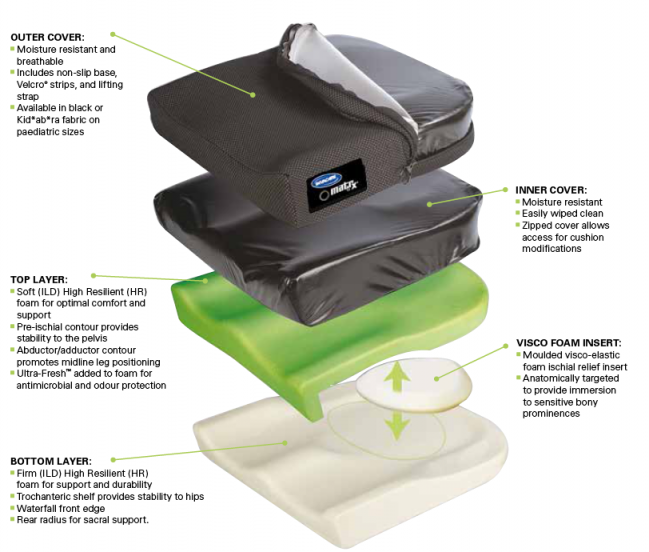 Matrx VI CushionFor Stability, Support And Comfort. The Matrx Vi Cushion is designed to provide skin protection and positioning for individuals at high or very high risk of skin breakdown. The unique three part foam construction targets skin protection to where it is needed most, and features improved stability, support and comfort.